Get the party started with these super-stylish plates from our Glitz and Glamour collection. 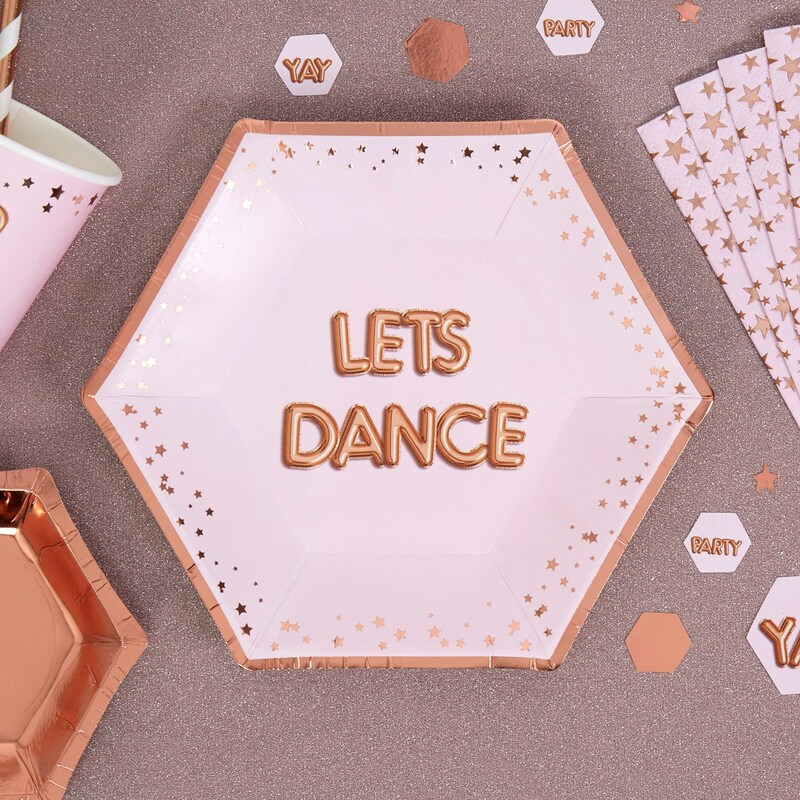 These eye-catching plates in pink and rose gold are edged with a sprinkling of rose gold foil stars to add some sparkle to your table settings. The centre of the plates balloon style ‘Lets Dance’ graphics gives your celebration a real sense of fun, whatever the occasion. Each pack contains 8 Plates, measuring 200mm.